The Montgomery Bus Boycott was a civil-rights protest during which African Americans refused to ride city buses in Montgomery, Alabama, to protest segregated seating. The boycott took place from December 5, 1955, to December 20, 1956, and is regarded as the first large-scale U.S. demonstration against segregation. 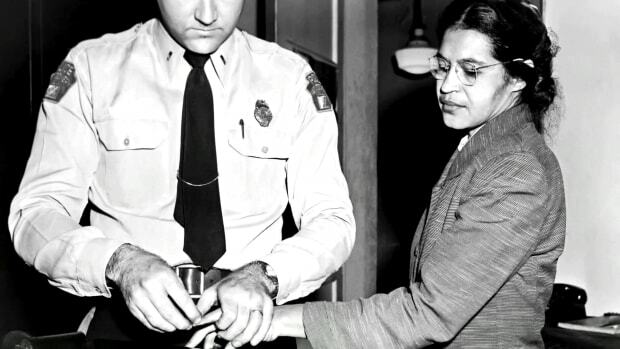 Four days before the boycott began, Rosa Parks, an African-American woman, was arrested and fined for refusing to yield her bus seat to a white man. The U.S. Supreme Court ultimately ordered Montgomery to integrate its bus system, and one of the leaders of the boycott, a young pastor named Martin Luther King, Jr., emerged as a prominent leader of the American civil rights movement. 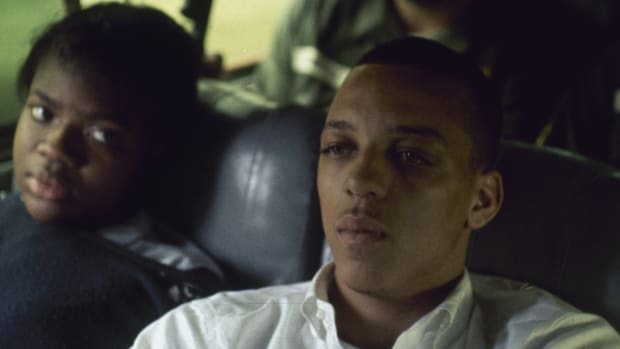 In 1955, African Americans were still required by a Montgomery, Alabama, city ordinance to sit in the back half of city buses and to yield their seats to white riders if the front half of the bus, reserved for whites, was full. 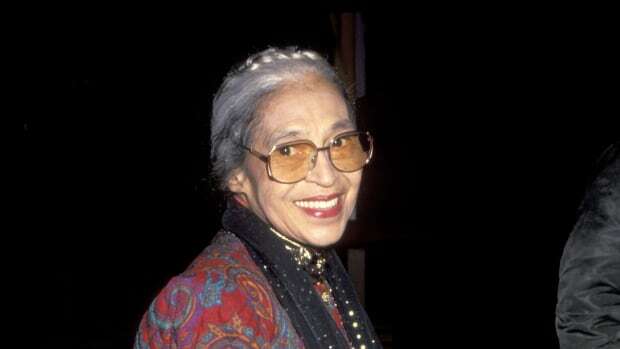 But on December 1, 1955, African-American seamstress Rosa Parks was commuting home on Montgomery’s Cleveland Avenue bus from her job at a local department store. 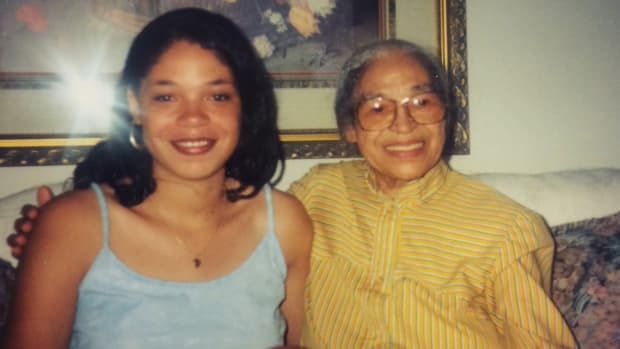 She was seated in the front row of the “colored section.” When the white seats filled, the driver, J. Fred Blake, asked Parks and three others to vacate their seats. The other African-American riders complied, but Parks refused. She was arrested and fined $10, plus $4 in court fees. This was not Parks’ first encounter with Blake. In 1943, she had paid her fare at the front of a bus he was driving, then exited so she could re-enter through the back door, as required. Blake pulled away before she could re-board the bus. Did you know? Nine months before Rosa Parks&apos; arrest for refusing to give up her bus seat, 15-year-old Claudette Colvin was arrested in Montgomery for the same act. The city&apos;s black leaders prepared to protest, until it was discovered Colvin was pregnant and deemed an inappropriate symbol for their cause. Although Parks has sometimes been depicted as a woman with no history of civil rights activism at the time of her arrest, she and her husband Raymond were, in fact, active in the local chapter of the National Association for the Advancement of Colored People (NAACP), and Parks served as its secretary. Upon her arrest, Parks called E.D. Nixon, a prominent black leader, who bailed her out of jail and determined she would be an upstanding and sympathetic plaintiff in a legal challenge of the segregation ordinance. African-American leaders decided to attack the ordinance using other tactics as well. As news of the boycott spread, African-American leaders across Montgomery (Alabama’s capital city) began lending their support. Black ministers announced the boycott in church on Sunday, December 4, and the Montgomery Advertiser, a general-interest newspaper, published a front-page article on the planned action. Approximately 40,000 African-American bus riders—the majority of the city’s bus riders—boycotted the system the next day, December 5. That afternoon, black leaders met to form the Montgomery Improvement Association (MIA). The group elected Martin Luther King, Jr., the 26-year-old-pastor of Montgomery’s Dexter Avenue Baptist Church, as its president, and decided to continue the boycott until the city met its demands. 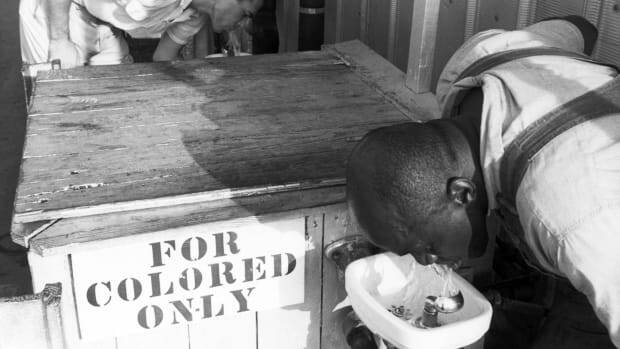 Initially, the demands did not include changing the segregation laws; rather, the group demanded courtesy, the hiring of black drivers, and a first-come, first-seated policy, with whites entering and filling seats from the front and African Americans from the rear. Ultimately, however, a group of five Montgomery women, represented by attorney Fred D. Gray and the NAACP, sued the city in U.S. District Court, seeking to have the busing segregation laws totally invalidated. Although African Americans represented at least 75 percent of Montgomery’s bus ridership, the city resisted complying with the protester’s demands. To ensure the boycott could be sustained, black leaders organized carpools, and the city’s African-American taxi drivers charged only 10 cents—the same price as bus fare—for African-American riders. Many black residents chose simply to walk to work or other destinations. Black leaders organized regular mass meetings to keep African-American residents mobilized around the boycott. 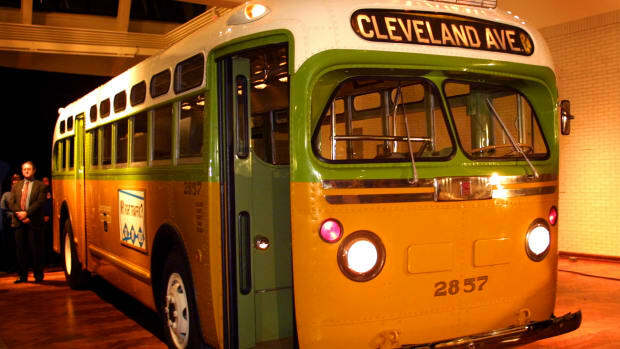 On June 5, 1956, a Montgomery federal court ruled that any law requiring racially segregated seating on buses violated the 14th Amendment to the U.S. Constitution. That amendment, adopted in 1868 following the U.S. Civil War, guarantees all citizens—regardless of race—equal rights and equal protection under state and federal laws. The city appealed to the U.S. Supreme Court, which upheld the lower court’s decision on December 20, 1956. Montgomery’s buses were integrated on December 21, 1956, and the boycott ended. It had lasted 381 days. Integration, however, met with significant resistance and even violence. While the buses themselves were integrated, Montgomery maintained segregated bus stops. Snipers began firing into buses, and one shooter shattered both legs of a pregnant African-American passenger. In January 1957, four black churches and the homes of prominent black leaders were bombed; a bomb at King’s house was defused. On January 30, 1957, the Montgomery police arrested seven bombers; all were members of the Ku Klux Klan, a white supremacist group. The arrests largely brought an end to the busing-related violence. The Montgomery Bus Boycott was significant on several fronts. 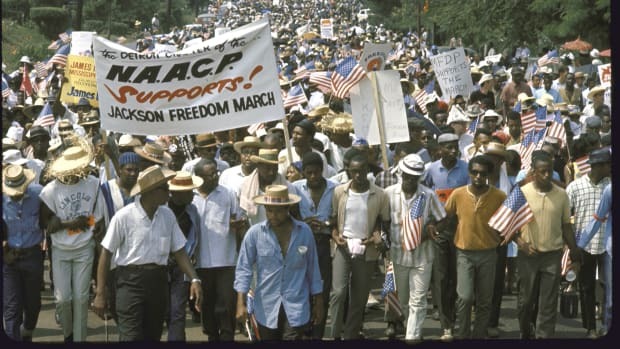 First, it is widely regarded as the earliest mass protest on behalf of civil rights in the United States, setting the stage for additional large-scale actions outside the court system to bring about fair treatment for African Americans. 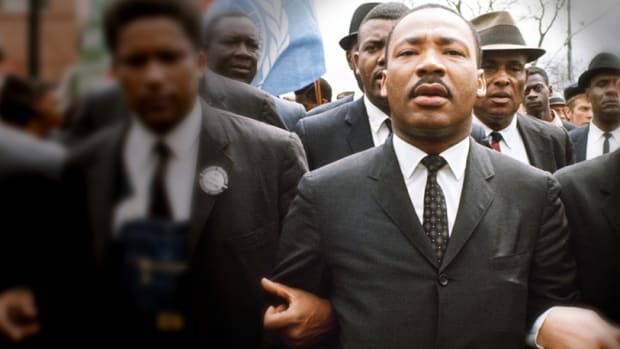 Second, in his leadership of the MIA, Martin Luther King emerged as a prominent national leader of the civil rights movement while also solidifying his commitment to nonviolent resistance. 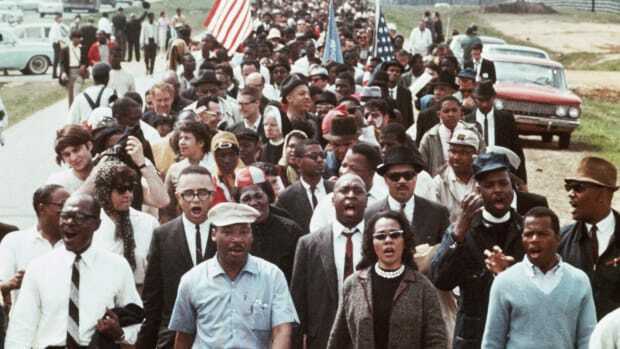 King’s approach remained a hallmark of the civil rights movement throughout the 1960s. Shortly after the boycott’s end, he helped found the Southern Christian Leadership Conference (SCLC), a highly influential civil rights organization that worked to end segregation throughout the South. 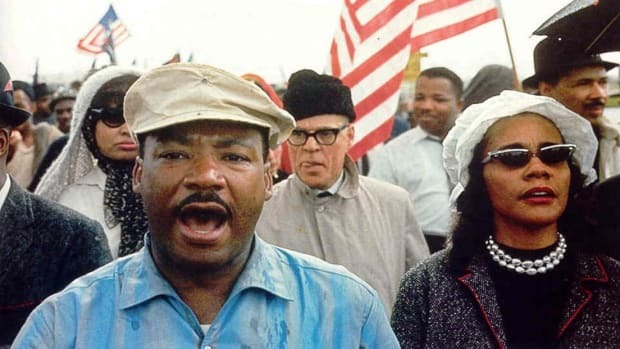 The SCLC was instrumental in the civil rights campaign in Birmingham, Alabama, in the spring of 1963, and the March on Washington in August of that same year, during which King delivered his famous “I Have a Dream” speech. 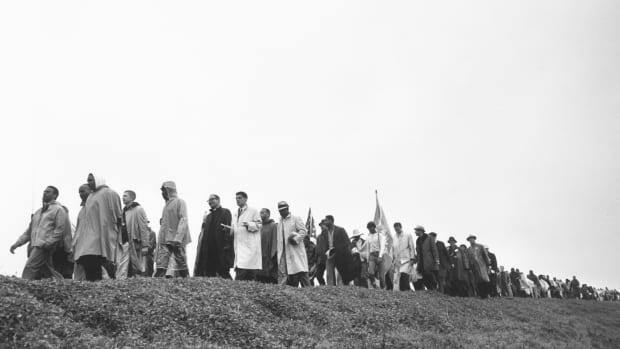 The boycott also brought national and international attention to the civil rights struggles occurring in the United States, as more than 100 reporters visited Montgomery during the boycott to profile the effort and its leaders. Rosa Parks, while shying from the spotlight throughout her life, remained an esteemed figure in the history of American civil rights activism. In 1999, the U.S. Congress awarded her its highest honor, the Congressional Gold Medal.